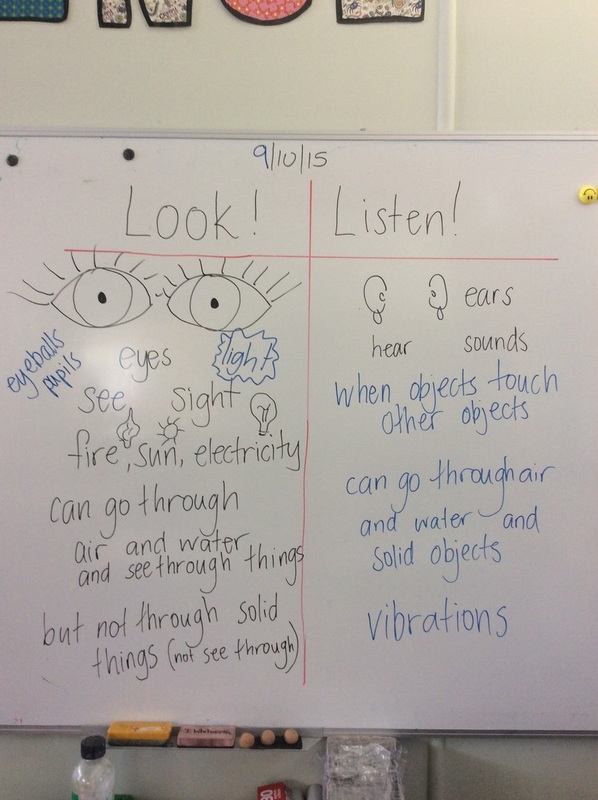 In term 4, we will be exploring light and sound. Light and sound surround us every day and influence our lives in so many ways. I am sure you will find this unit fun and challenging. Use this website, to catch up on missed learning, show your parents what you are learning in science and access extra videos or science games I find for you. This week, we read the story, Sounds In The Dark. In the story, Luke was in the dark and heard a bunch of noises. He had to find some light to discover what was making them. We discussed 'sound makers' and 'light producers' and identified those from the story. Then we did some brainstorming and activities with light and sound to fill in a T-chart. We already have some great ideas about light and sound. You will begin our new unit, Look! Listen! in your science journal this week. Scientists use journals, and we are all scientists.